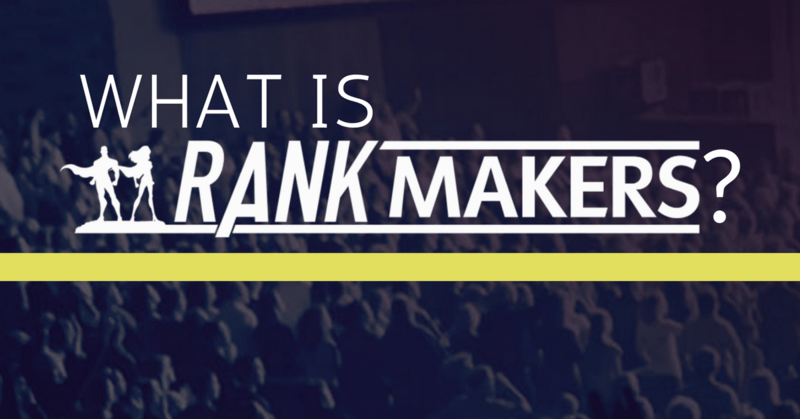 Have you heard of Rank Makers but not sure exactly what it is? Here is EVERYTHING you need to know about Rank Makers and how it’s changing the network marketing industry. 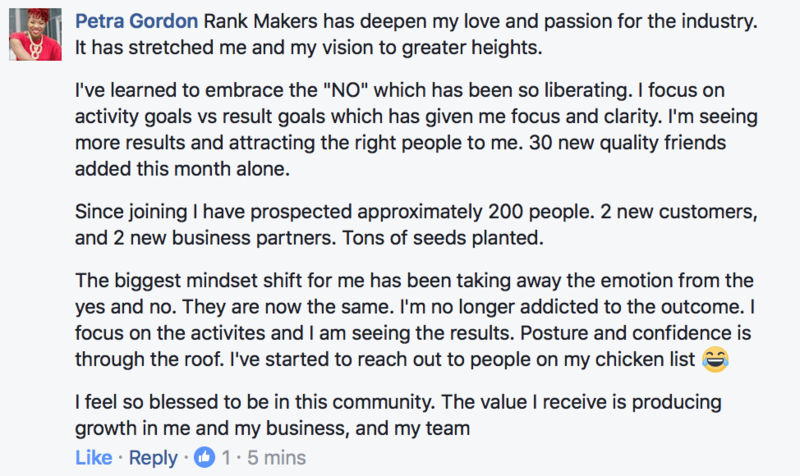 Rank Makers is a “secret tribe” of sorts where network marketing entrepreneurs, like yourself, can learn and grow WITHOUT feeling discouraged or “put down” by so-called-leaders and “trainers” who just don’t understand us. This group is a SAFE place to learn, grow, and implement “field-tested” and proven social media & marketing strategies to grow your network marketing business. Inside this group, you’ll discover a bustling community of some of the most inspiring and uplifting entrepreneurs on the planet. Rank Makers help and support each otherno matter what company they’re in. It’s in our DNA. We use a special “Closed Facebook” group as our primary channel for delivering you instant trainings, insights, and updates. Our CORE mission and purpose is to help YOU and your team grow, thrive, and rank advance. You’ll find unique & fun opportunities, limited-time competitions, and training sessions to help you in your quest to hit that next rank. And when you do, you can BET on it that we are going to celebrate. Because, in Rank Makers, we celebrate your wins. When you Rank Advance, or help another teammate rank advance, we’ll be among the first to recognize, celebrate, and cheer for you. After all, this is exactly what being a Rank Maker is all about. A Rank Maker is a “Different” Type of Network Marketer. They are the Modern Network Marketers who worth with the Driven & Hungry, and don’t waste time with skeptics or those cynical towards the profession. A Rank Maker is someone of value who know that “The more you give the more you get” and always puts their relationships first. A Rank Maker unites both online and offline strategies together, to grow their team. and helps their people do the same. Rank Makers shatter the “Status Quo” and wage war against poor social media tactics, hype-marketing, spamming, and company bashing. Rank makers understands that leading with value is what works online, not leading with just what you have for sale or your company opportunity or product, even if not everyone around them agrees. RANK MAKERS: TRIUMPH OVER ADVERSITY. FORGE THEIR FINANCIAL DESTINY. SHAPE THEIR FUTURE. INSPIRE THEIR TEAMS. Want your team to join Rank Makers too? If so, feel free to tag them in this post and share on Facebook.